When deciding where to invest money and time toward a college education, it may be wise to search beyond institutions that are already household names and consider those that are ranked among the best up and coming universities. By not getting hung up on the prestige of a school's name and the longevity of their reputation, you may find that "up and coming" universities embrace more relevant priorities that are not so steeped in tradition, and often at a cheaper price. It is common knowledge which universities are considered the cream of the crop. Princeton, Harvard, Yale, Stanford, MIT; the list goes on. Those well established schools are significant now, but what about in the future? Competition, resources, technology, and teaching methodology are all evolving to meet new needs in the U.S. and there is another list of schools consisting of America's up and coming universities that should be considered. Those universities are the focus of this article. Value and earning potential are gaining more of a spotlight every year as students look for ways to maximize their investment. This list consists of the top 20 up and coming universities according to U.S. News and World Report. The schools were selected by surveying peers in the world of higher education, and singled out for innovation, improvement of facilities, and other major factors. While we selected schools for this list based on their inclusion in U.S. News and World Report's ranking of up and coming universities, we recognize that students need more information to make optimal choices when choosing a university. So we ranked the schools here by their 30 year net return on investment according to Payscale.com's ROI data. This list gives you the best of both worlds: the twenty schools most on the rise in the U.S. and key financial data to help you make the best decision possible. Indiana boasts the only state university system with two schools among the top ten up and coming universities in the United States. While the ROI of this school is lower than its sister school mentioned later on in this list, the school itself is actually ranked higher among up and coming universities. This is encouraging and it is often the case that as schools improve, the ROI is dramatically impacted. IUPUI is counted among national universities by U.S. News, though its rank is not published. That could change as long as the school keeps on its current track. This school's rank among up and coming universities is tied to the growth of the number of academic programs offered and a new emphasis on conducting major research. Portland State University offers many service learning opportunities, and part of the school's philosophy is to tie its rigorous academic excellence to real world situations that will allow students to experience new things and gain perspective. The University of Central Florida's ranking among national universities and national public universities by U.S. News and World Report both jumped four slots this year. The school is undeniably growing in positive ways. 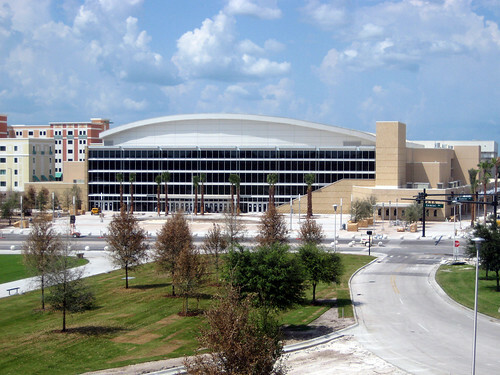 The climb is consistent as the University of Central Florida has advanced in the rankings every year for the past four years. The school has long been considered by major publications to be one of the best values in higher education, and the fact that it continues to receive those accolades is very encouraging. Not only has Georgia State University been recognized as an up and coming institution, but it is considered one of the most diverse campuses in the United States, ranked 12th for diversity. One of the primary goals of the school has been to increase the one to one attention received by each student. From faculty mentorship to peer tutoring, GSU is committed to bolstering the student's academic experience and opportunity without significantly increasing the cost of education. With over 100 majors to choose from, a list that is growing every year as the school adds new programs in emerging fields, the University of Vermont is committed to growth in all arenas. Even in this economy, which is difficult for new college graduates, 85% of graduates from UV express satisfaction with their job one year after graduation. The school has a long historical tradition of academic excellence and its campus is rich with history. Denver University has risen in the last couple of years from #13 to #10 among top up and coming universities. The university states that the reason for its advanced ranking is the school's commitment to innovation, pursuing new and interesting methods, adding new academic programs, and more. The school has been home to many significant events, playing host to one of the 2012 Presidential debates. The University of Denver anticipates continued growth in both the quality of its programs and facilities, which is the primary reason for its advancement in the rankings of up and coming universities. 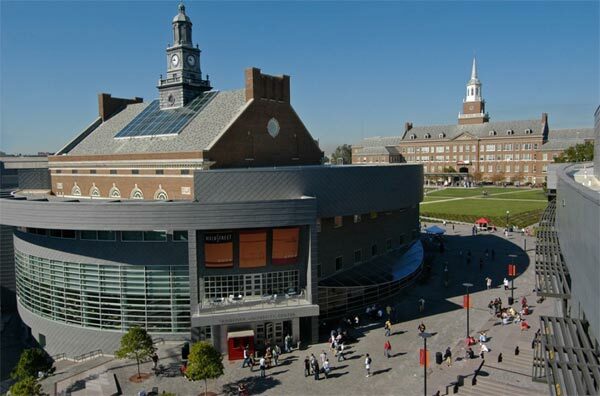 The University of Cincinnati is ranked 3rd among up and coming universities by U.S. News, and is hard at work developing innovative programs and emphasizing experiential learning (gaining recognition as one of the best schools for finding a strong internship in the U.S.). Other contributing factors in the university's upward movement are increased graduation rates and increased freshman retention. The school has also been able to improve financial aid and expand their facilities due to successful new fundraising efforts. Upward momentum isn't just signified by San Diego State's rank among the country's up and coming universities. Since 2011, the university has improved its rank among national universities from #183 to #152. This is a result of the school's growing reputation in the business community (with a highly ranked international business program) and in the academic community at large. The strong ROI isn't the only financial reason to consider SDSU. The school was also named by U.S. News and World Report as one of the 20 schools from which students graduate with the least amount of debt. 44% graduate with no debt at all. ASU is growing, and so is its reputation as a top academic institution. The school's growth and innovation are evident in its emphasis on student entrepreneurship, community partnerships, increasing student services, and the fact that the school is continuously adding academic programs in emerging fields. If you are interested in an emerging field, Arizona State University one of the best schools to investigate as they are often among the first to offer new programs designed to educate a new generation of professionals for new industries. This school's new vision is committed to raising its already strong profile. Marquette University is offering more financial aid, expanding their facilities, and striving to achieve "high research activity," which would put it on the path to becoming one of the most prominent Roman Catholic research universities in the world. The university, already socially active as dictated by the Jesuit tradition of social justice, also seeks to become even more involved in the community on the local, national, and international levels. Northeastern University's national ranking has been steadily advancing over the course of the last six years. In 2007 the school was ranked #98, and just six years later the ranking had steadily improved to #56. Northeastern University is now ranked #49 in the United States among national universities by U.S. News for the year 2014. The school's advancement in the national rankings, combined with its high rank as an up and coming school, is indicative of the university's commitment to academic innovation and the overall improvement of its facilities and programs. One of the primary focuses at BU is innovation. Whether in the entrepreneurship program or engineering, innovation is a big deal. This is because the school as a whole seeks to provide students with an education that will enable them to change things regardless of their industry. 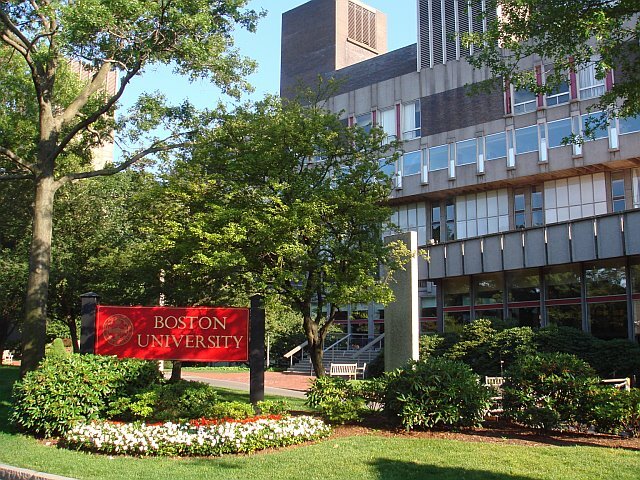 Boston University models this focus by offering innovative courses, and an innovative take on old subjects, all while staying grounded in a strong academic tradition. In addition to being ranked among the top ten up and coming universities by U.S. News, NC State Raleigh is also located in one of the ten up and coming cities for entrepreneurs according to Forbes. This is especially encouraging to undergraduate students studying in an area conducive to entrepreneurship, the sciences, engineering, and, of course, business. The school's reputation, along with the city's is growing as the school adds more programs, partners, and facilities. In the five years since the "up and coming" category was introduced, George Mason University has been solidly in the top ten. The school has been growing in all major areas: residential enrollment, construction of new facilities (on which the school has spent $700 million since 2009) including research laboratories, developing the school's academic partnership with the Smithsonian, and an increased focus on undergraduate research. This school has a reputation for innovation and one of the ways Clemson University has been innovating and growing is in its involvement of undergraduate students in major research and development projects. Undergraduate students in engineering (mechanical, computer, and electrical) and physics are routinely involved in designing and constructing advanced equipment that is used by NASA and other agencies. 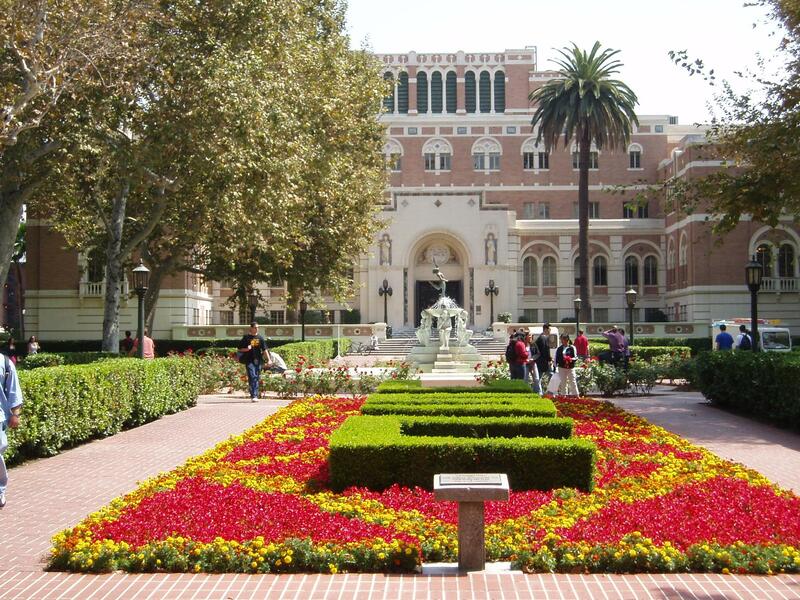 USC is ranked as the 23rd best university by U.S. News and its ranking as an up and coming university is encouraging. Many of the top universities don't make the up and coming list, as they aren't innovating as much academically or growing their facilities as rapidly as the schools that make the list. USC's high ranking on both lists means students will take part in a thriving academic culture that continues to evolve and is already highly regarded. One of the biggest innovations at the University of Maryland–Baltimore County is its heightened focus on undergraduate teaching. It's easy for undergraduates at many of the best schools to feel overlooked as the schools focus more on graduate education and high level research. Schools with high ratings of undergraduate teaching focus on making the undergraduate academic experience more rewarding, and are more attentive to their undergraduates. Purdue is constantly growing, both in size, and the extent of its facilities. The school focuses on innovation in the classroom and innovation in what kinds of programs it offers. This innovation leads to a growth in the number of programs available as new programs in emerging fields are added to the catalogue. These are some of the primary reasons Purdue University-West Lafayette is considered one of the top up and coming universities in the United States. It's easy to see why Drexel University has been on the "Up and Coming" list for a few years. The school has been growing by leaps and bounds, innovating and growing its facilities and academics. The school has been developing a strong online and hybrid program consistent with its philosophy of always being on the cutting edge of education. Online education was just the next logical step for Drexel, the very first university to require students to have computer access. Carnegie Mellon University is located in the heart of Pittsburgh, one of the biggest industrial centers in the United States. The school may not be ranked very high in the "up and coming" category, but that's partial because it has always been one of the most innovative universities in the country. The school is a hub for students interested in science, technology, engineering, and mathematics, and continues to offer programs at the graduate and undergraduate levels that explore new facets of established subjects. Carnegie Mellon also appears on our list of the Top 25 Ranked Engineering Programs with the Best Return on Investment (ROI). 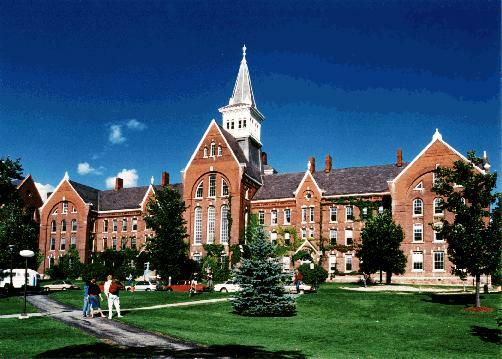 After researching this list of the top ranked up and coming universities with the best return on investment, you will be able to make a decision about your college education that will help you make the most of your most important investment.